Who invented the zoom lens? Frank Back was one of the most significant forces in zoom lens innovation after the Second World War, producing a lens which enhanced sports and news coverage, and became a workhorse of studio and remote broadcasting. Back was an optical engineer born in Austria. He was something of a polymath: he gained a doctorate in mechanical engineering, but studied optics on the side throughout his education. An early employment took him to the United States where he sold a novel from form of endoscope, which the New Yorker magazine later described as “as swallowable camera more popular with doctors than with patients”. After his visit to New York, Back returned to Austria, but by 1939 he had returned to the United States, where he was to reside for the rest of his life. He found employment as a consulting engineer in and around New York City. After the United States joined the war in 1941, Back worked as an optical researcher for the United States Signal Corps. After the war, Back applied his knowledge of optics to the development of a zoom lens for peacetime cameras. After extensive testing, involving small local film companies in the New York City area, Back made the first major sale of a ‘Zoomar’ lens to Paramount Newsreel. Orders soon followed from television companies across the United States. The Zoomar lens made a substantial difference to the filming of live sports on television, but it was also extensively used for studio production. The Zoomar lens went through many early prototypes. One of the earliest fully commercial models can be found in the lobby of WMAR-TV in Baltimore. Click here to see pictures of that lens – which bears the serial number “1”. Some accounts refer to Back as the ‘father of the zoom lens’. But Back did not invent the zoom lens; instead he built upon the foundations of existing technology. 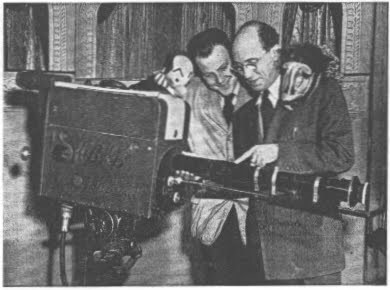 Crucially, he was in the right place, at the right time (New York City at the end of World War II) to promote his new zoom lens to the recently reborn television industry. 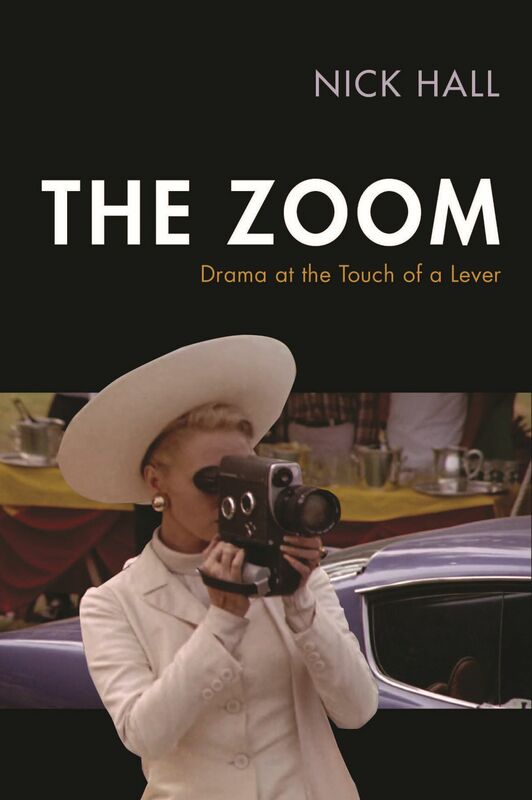 Furthermore, some histories claim that the word ‘zoom’ comes from ‘Zoomar’. This is not true. Filmmakers were using the word ‘zoom’ in the sense of a variable focal length lens as early as 1932. Information on Frank Back can be found in “Personalia” in the Journal of the Optical Society of America vol. 53 iss. 1 (Jan 1963), and in the finding aid to the Frank Back papers, held at UC San Diego. Other than the details which emerged from these sources, the history of Back’s contribution to zoom lens technology is the result of extensive original research which appears in my doctoral thesis. Some further details of the above are to be found in Nick Hall, “Re-inventing the close-up: post-war American television and the zoom shot”, chapter in Television Aesthetics and Style ed. Jason Jacobs and Steven Peacock, Continuum, 2013.